With a wealth of cultural and historical intrigue and captivating landscapes Europe has a lot to offer. Europe is best explored with an itinerary with freedom and adventure. Request the brochure today to start your journey here. Titan’s extensive knowledge and customisable packages will guarantee that. Whatever country or culture you want to experience, their spectacular range will include your ideal trip. Europe’s range is sure to inspire any traveller but if you’re unsure of where to choose, trust in the knowledge of Titan’s team. Packages include themed trips across countries which include Italy, Spain, Portugal, Germany, Turkey and many more. From fully-escorted group, adventure and luxury tours, private tours and tailormade holidays. 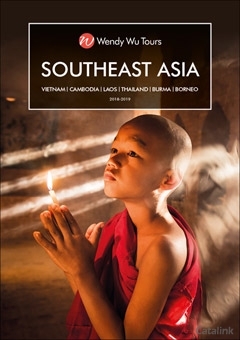 The Asia experts, Wendy Wu have Vietnam, Cambodia, Laos, Burma and Thailand covered. Request the brochure today! Wendy Wu Tours focus on your experience; your accommodation, flights, meals, touring and transport are all included in the price. All you need to focus on is soaking up the unique sights and local culture. And trust us when we say, that there really is a lot to see! A comprehensive range of tours are available; from the lush Mekong Delta in Vietnam. Cambodia’s striking Angkor Wat and Laos’ untouched beauty are must-sees, it’s all possible. Plus, stopovers can be added at the beginning or end of your holiday. So if the bustling city of Hong Kong or Dubai’s beaches appeal, it can all be added to your holiday. Start your adventure and order your Wendy Wu Tours Southeast Asia brochure today.